Dennis Comninos is an international Project Management consultant, lecturer and author. He specialises in project, strategic and human capital management consulting locally and internationally. He has over 36 years of experience in strategic, general and IT management relating to almost all industries as a business and systems analyst/developer and project manager. In total he has over 30 years of Project Management experience covering strategic IT, development, engineering construction and business projects. He has spent some 25 years lecturing and consulting on the subject. He has lectured and consulted extensively in the USA, Africa, New Zealand, Australia, Middle East, India and Europe on project management. Dennis is a sought after presenter on project management-related topics at various seminars and conferences. He is a member of the Academic Advisory Board for Project Management at the Tshwane University of Technology. He is also a part-time lecturer in Construction and Project Management at the University of Cape Town’s GSB and the University of Port Elizabeth. 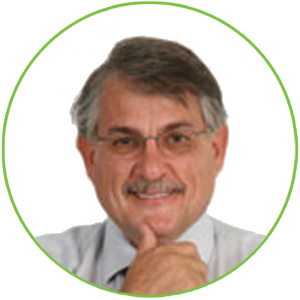 Dennis is a member of the SAQA Project Management Standards Generating Body and a project management consultant to the World Bank and the United Nations (UNDP). He is the co-author of a best-selling, internationally published book entitled “The Practice of Project Management : A Business Approach”. The book is used as a prescribed textbook at various universities locally and internationally. The second book “The Practice of Project Management : A Guide to the Business Focused Approach” has recently been published internationally and has been awarded the Association of MBA’s seal of approval for use as a textbook on MBA programmes.